In the modern multicore processors on a single chip of silicon is two or more processor cores. In this case, each core is able to support the calculation of two or more streams. The use of multicore processors to speed up operating systems and applications that support multithreading. Multi-core processors represent a Central processor, which contains more than two cores. Such nuclei can be in one housing or on one processor chip. What is a multicore processor? This files most often for multi-core processors understand the Central processor in which multiple cores are integrated in a single chip (that is, they are located on a single chip of silicon). Usually the clock frequency in multi-core processors deliberately understated. This is done in order to reduce power consumption while maintaining the required performance of the processor. Each core in this case is a full microprocessor, which is characterized by the features of all modern processors - it uses a multi-level cache, supports an extraordinary code execution and vector commands. Cores in multi-core processors can support the SMT technology that allows you to execute multiple threads of computation to create each core with multiple logical processors. Processors released by Intel, this technology is called "Hyper-threading". It is possible to double the number of logical processors compared to the number of physical chips. In microprocessors that support this technology, each physical processor is able to maintain the state of two threads at the same time. For the operating system it will look like two logical processors. If you are one of them there is a pause (for example, it waits for the data from memory), the other logical processor starts executing native thread. Multicore processors are divided into several types. They can support the use of shared cache memory, and may not support. Communication between cores is implemented on the principles of the use of shared bus, network on the point-to-point, network switch, or use a shared cache. Most modern multicore processors works as follows. If a running application supports multithreading, it can cause the CPU to perform several tasks simultaneously. 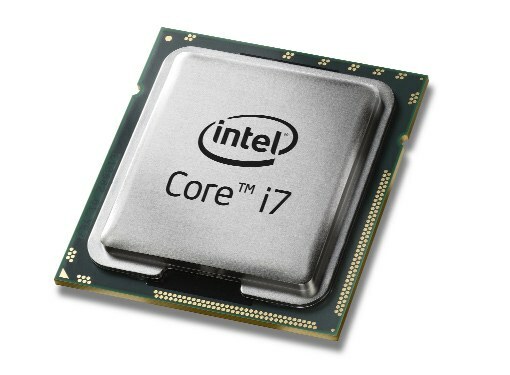 For example, if the computer uses a 4-core processor with a clock frequency of 1.8 GHz, the program can upload work from all four cores, the total CPU frequency will be 7.2 GHz. If you are running multiple programs, each of which may use part of the CPU cores, which also leads to increase the performance of your computer. Many operating systems support multithreading, so the use of multi-core CPUs allows you to speed up your computer even in the case of applications that do not support multithreading. If we consider the work only one application, the use of multi-core processors will be justified only in the case if this application is optimized for multi-threading. Otherwise, the speed of a multicore processor will not differ from the speed of a conventional CPU, and sometimes it will even run slower.